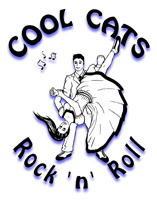 Developing from Lindy-Hop/ECS, Kick-Step Rock 'n' Roll exists in a number of forms and styles across the globe.Characteristically, motion across the dance floor is achieved using a kicking action through the air rather than a series of steps and/or taps. Different styles dance low, upright, back and forth, or side to side and hence significant variation in presentation and movement is possible using the same fundamental footwork. As the kicks are taken through the air there is also significant flexibility in positioning, transitions, and footwork variation. Advanced Kick-Step Rock 'n' Roll introduces additional actions through the basic footwork, facilitating more fluid movement across the floor and greater variety and freedom of body movement. Characterised by the kick-ball change action that replaces the standard back-step (rock-step), Advanced Kick-Step also introduces the use of directional kicks, counterbalance, and partnership momentum as part of the core dance movement. These skills and concepts are difficult for many dancers to grasp, even with prior experience in other styles. Consequently we do not progress students to Advanced Kick-Step until at least one partner is both confident and competent in standard Kick-Step. Kick-Step (Euro Style). This is a great instructional video for basic (Euro) Kick-Step, displaying the key aspects of the dance. The Euro style tends to be more upright and thus bouncier with less rotation through the dance. If you speak German, I thoroughly recommend the other videos from Get the Dance! Kick-Step+ (Oz Style). Most dancers in this clip are dancing the mixed Australian Kick-Step style. This is characterised by the generally smooth and flat rotation (clockwise drift) of the dance utilising a kick-step basic interspersed with steps, triple steps, double kicks and other variations to suit. Advanced Kick-Step (NZ Style). These awesome kids are displaying the kick-ball change, higher energy form of Kick-Step Rock 'n' Roll. Well suited to musicality, performance, and aerials of all kinds. What is Kick-Step Rock 'n' Roll? How is it different to other Rock 'n' Roll styles? Using slightly different actions, kick-step rock 'n' roll is a 6beat style of rock 'n' roll dancing that is popular in parts of Australia, New Zealand, and Europe. Like most forms of rock 'n' roll, kick-step derives from Swing dancing (the basic is a form of simplified Charleston kick), with both partners moving in a clock-wise circle. The advantage of Kick-Step Rock 'n' Roll is that the kick (occurring without weight) is free to be placed in different directions, allowing for greater freedom of movement and body action. In advanced forms of Kick-Step this also allows for additional footwork actions to be introduced, providing even greater possibilities for movement and musicality. How energetic is Kick-Step Rock 'n' Roll? The basic form of Kick-Step that we teach in class (6 beats, 6 actions) is no more energetic than any other rock 'n' roll dance style. However, because the dance is able to move more freely than other rock 'n' roll styles you may find that you can't resist the urge to really get into it! The advanced forms of Kick-Step that we offer for experienced dancers are more energetic, as there are more actions required in the same number of beats. Why would I prefer Kick-Step Rock 'n' Roll to other dance styles? As a 6beat dance, basic Kick-Step Rock 'n' Roll will allow you to dance with any other basic rock 'n' roll style - but with the advantage of being able to move more freely and use a greater range of footwork and body action. For those who like their dances energetic or want a challenge, the advanced forms of Kick-Step can provide a real work-out while developing a broad range of dance skills. Advanced Kick-Step is the most fluid and dynamic of the rock 'n' roll styles - just great when you really want to go for it!